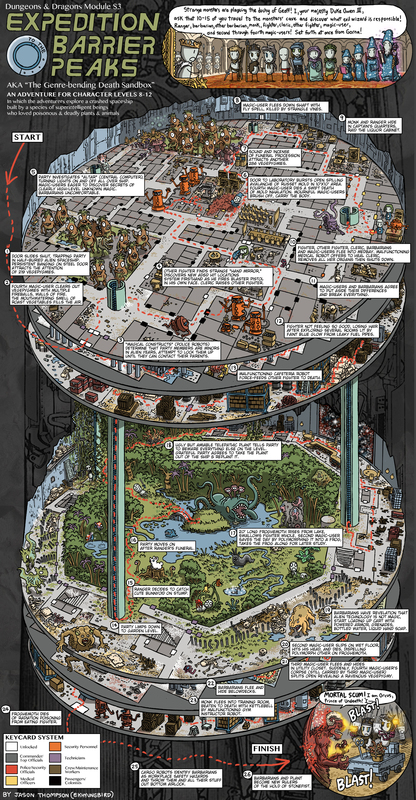 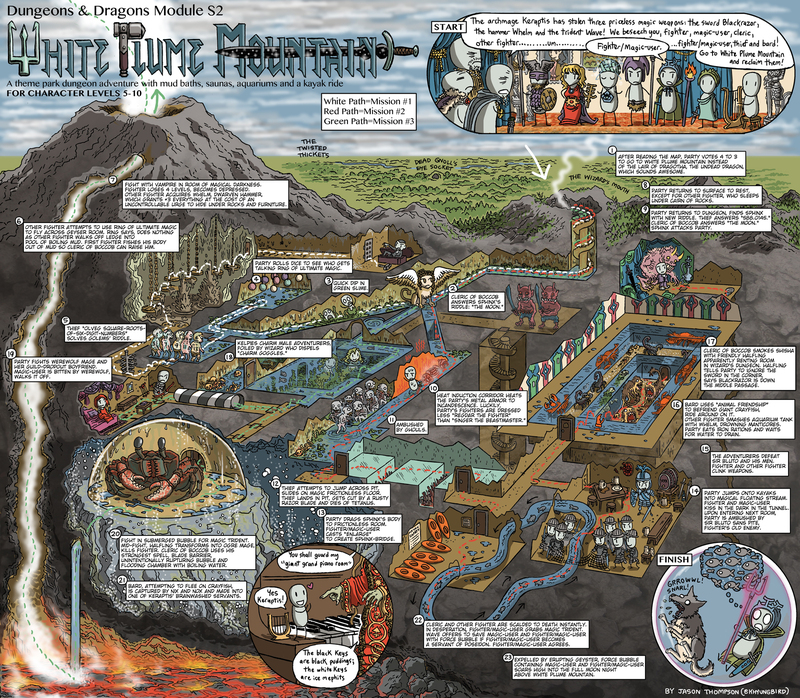 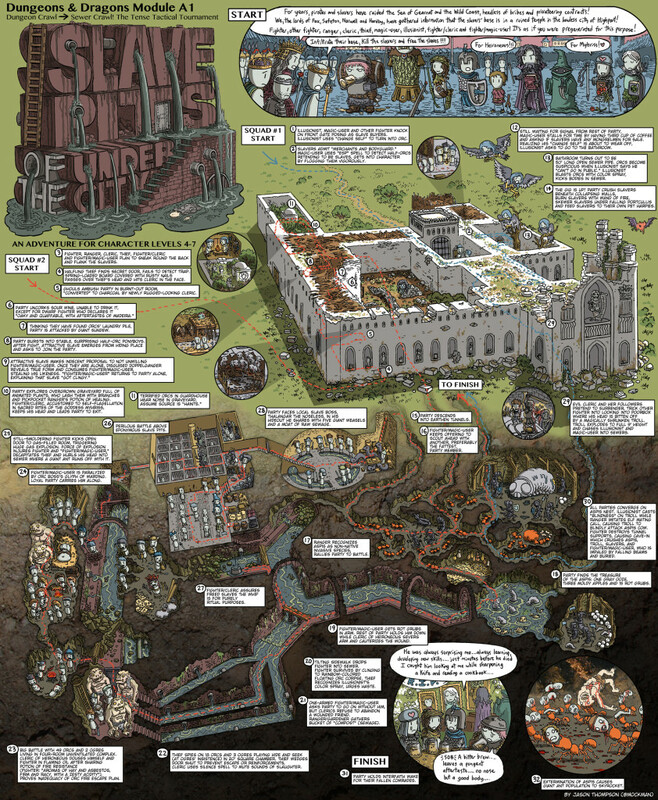 I love these maps by Jack Thompson. They are playful and provide a graphic illustration of the contents of each module. 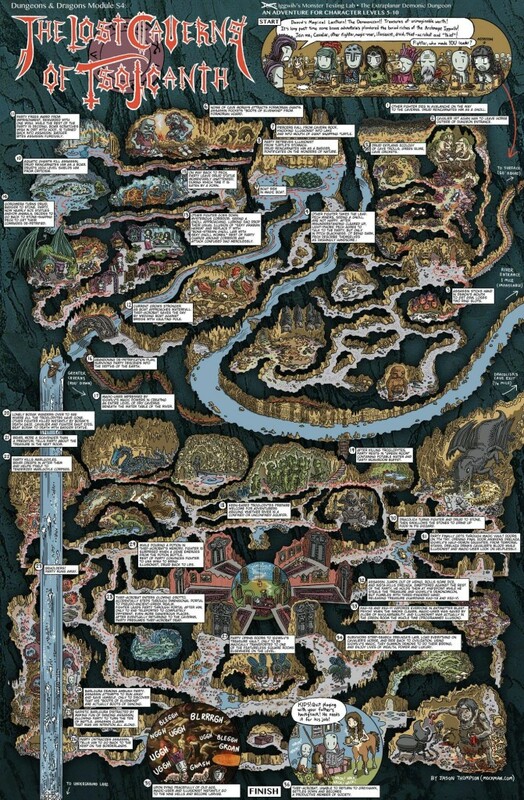 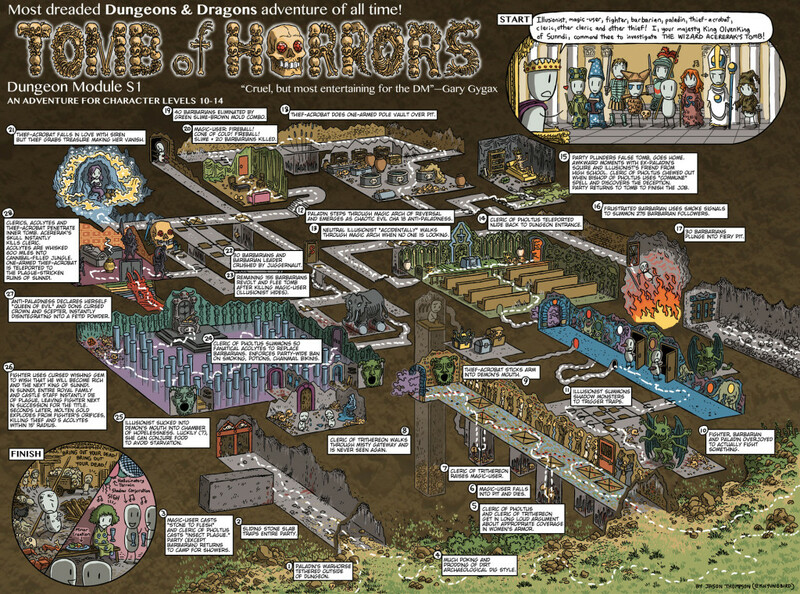 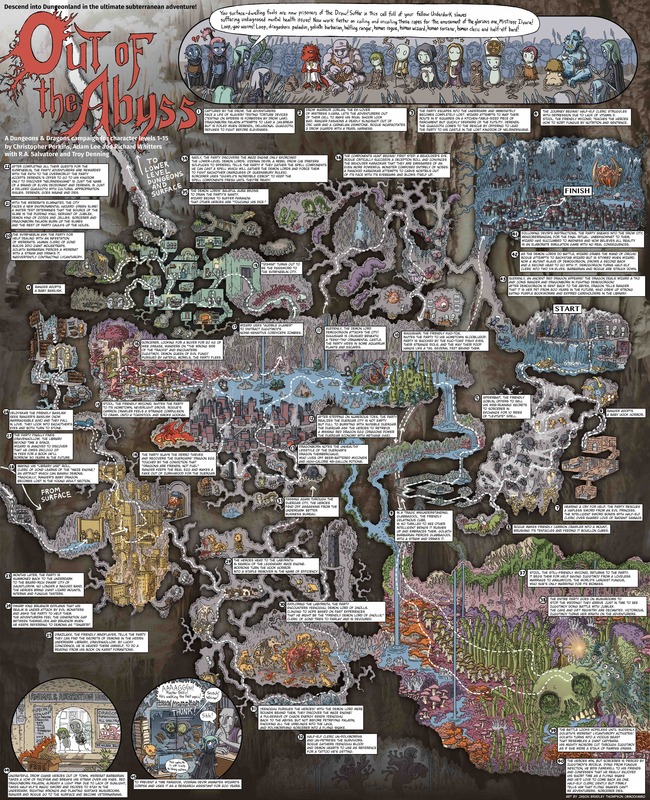 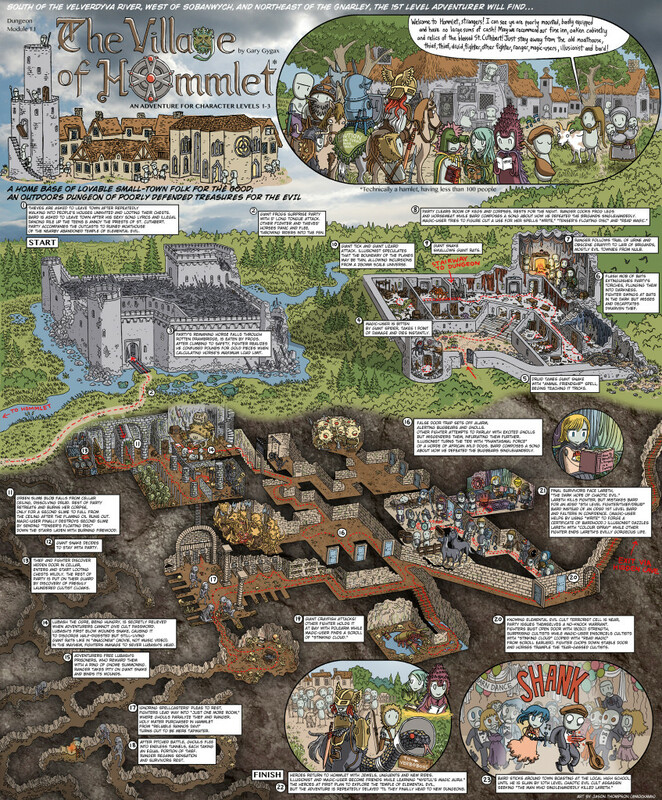 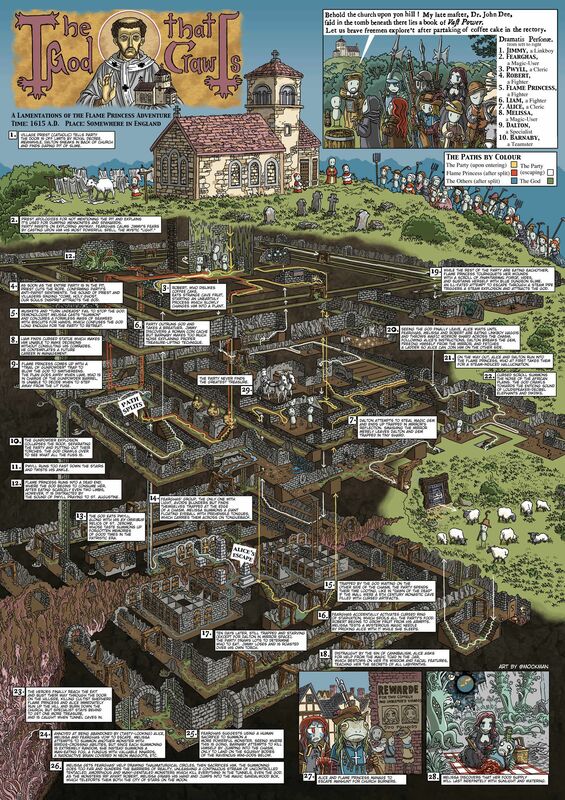 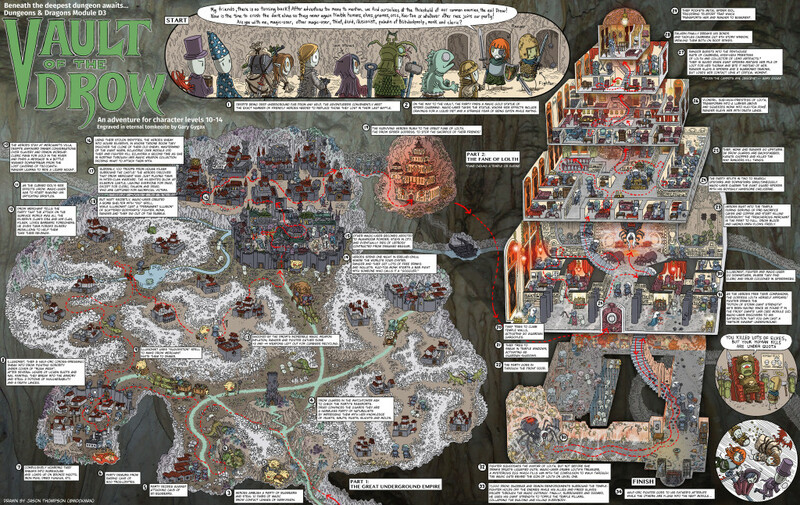 One thing I like about DCC RPG is that the maps themselves are works of art, like this, and are often rendered at a viewing angle that give a more 3D impression of the location and its contents. 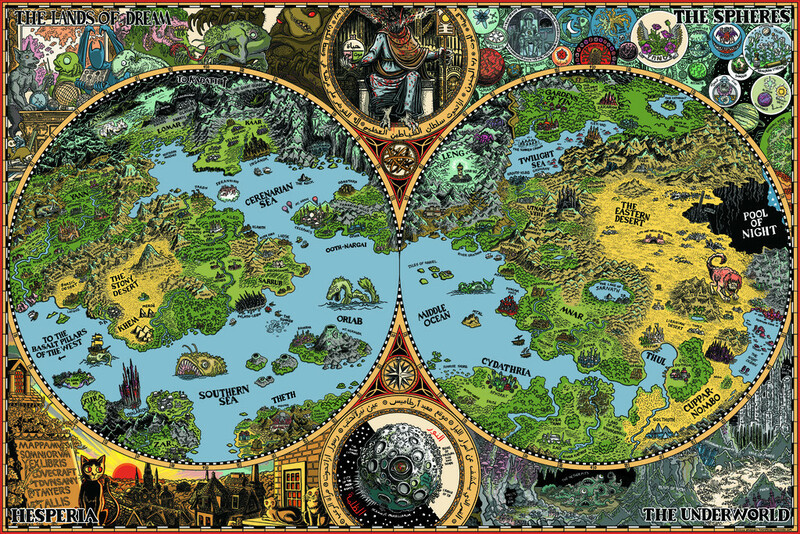 He sells prints of the maps and also a map of the Dreamlands of Unknown Kaddath, which I own, and it’s lovely. Visit him at mockman.com and take a look at his store. 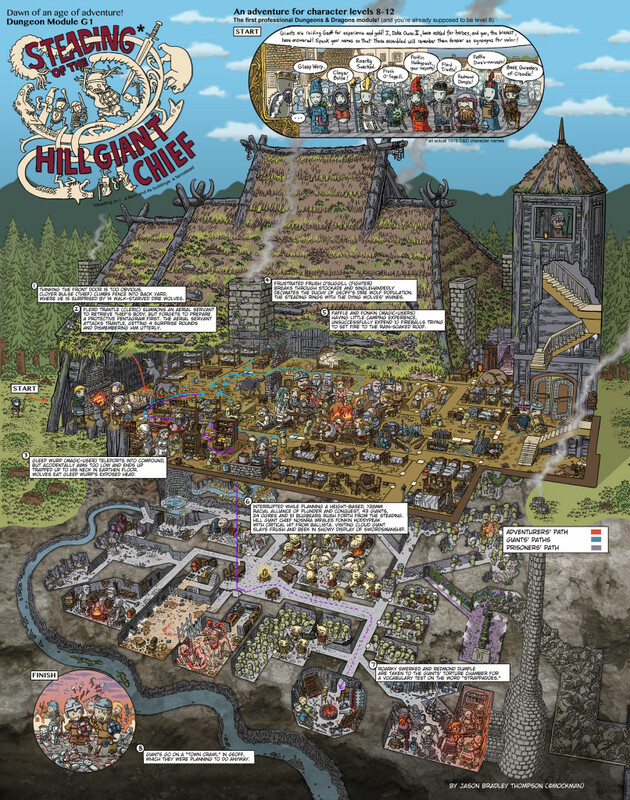 Having trouble uploading this file. 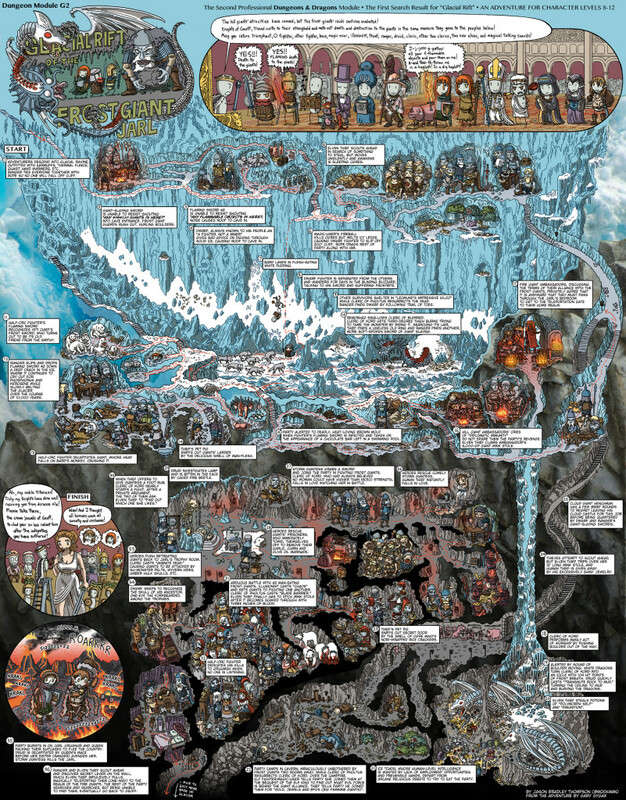 You can view it here.